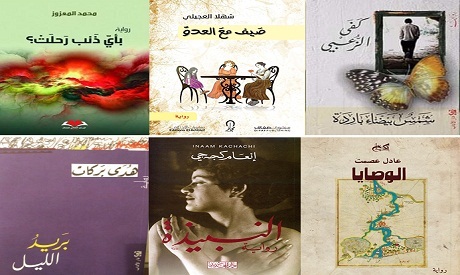 The shortlist for the 2019 International Prize for Arabic Fiction, known as the Arabic Booker, was announced on Tuesday and include the Egyptian Adel Esmat, Lebanese Hoda Barakat, Iraqi Inaam Kachachi, Moroccan Mohammed Al-Maazuz, Syrian Shahla Ujayli and Jordanian Kafa Al-Zou’bi. Each of the six shortlisted authors will receive $10,000. The books were revealed by the judging panel during a press conference held at the Palestinian National Theatre – El-Hakawati – in Jerusalem. The judges, who were unable to travel to Jerusalem, joined via video conference. Each year, the shortlist is announced in a different centre of Arabic writing, and for 2019 the trustees of the prize chose Jerusalem, along with Ramallah and Bethlehem, for a series of events in recognition of the flourishing Palestinian literary scene. The Booker Prize has awarded a number of Palestinian writers over the years, including Ibrahim Nasrallah and Rabai Al-Mahdoun. Three female authors who have previously been recognised by the Booker Prize made the 2019 list, including Inaam Kachachi (shortlisted for The American Granddaughter in 2009 and again in 2014 for Tashari); Shahla Ujayli, the youngest on the list (a participant in the prize’s Nadwa in 2014 and shortlisted for A Sky Close to Our House in 2016); and Lebanese Hoda Barakat (long-listed for The Kingdom of the Earth in 2013). These three authors are competing to win the $50,000 prize along with acclaimed Egyptian novelist Adel Esmat, whose 2015 award-winning Tales of Yusrus is already available to read in English; Moroccan political anthropologist Mohammed Al-Maazuz, who reaches the list with his second novel; and Jordanian writer Kafa Al-Zou’bi, who is shortlisted with her fifth novel. With four women shortlisted, this year has the highest number of women since the prize began in 2008 (there were two women in 2011, 2015 and 2018). This year’s six shortlisted novels, selected from a long-list of 16 and published in Arabic between July 2017 and June 2018, showcase the best of contemporary Arabic fiction, exploring issues of belonging, societal changes over generations of Arab families, and the ongoing battle against the fundamental flaws of human nature. The Night Mail tells the stories of immigrants, exiled and homeless, who have each written a letter that is now lost like themselves. The Outcast is based on a true story and spans the history of modern Iraq, tracking the life of a female journalist forced to flee her country. Cold White Sun reveals the alienation of a young intellectual Jordanian man from conservative society in Amman. In Summer with the Enemy, we learn about three generations of Syrian women in Raqqa through the recounting of a historical courtship. The Commandments follows an Egyptian family and the life lessons passed down from grandfather to grandson to help him avoid temptations. What Sin Caused her to Die? shares the story of a divorcee who tries to use the beauty of philosophy and music to resist her depression. Alongside chair Majdolin, who is a Moroccan critic and academic specialising in aesthetics, verbal and visual narratives and comparative studies, this year’s judging panel features Fowziyah Abu Khalid, a Saudi Arabian poet, writer, academic and researcher in social and political issues; Zulaikha Aburisha, a Jordanian poet, columnist, researcher and human and women’s rights activist; Zhang Hong Yi, a Chinese academic, translator and researcher; and Latif Zeitouni, a Lebanese academic and literary critic with a specialisation in narratology. The winner of the International Prize for Arabic Fiction 2019 will be announced at a ceremony in Fairmont Bab Al-Bahr in Abu Dhabi on Tuesday 23 April, the eve of the Abu Dhabi International Book Fair. Last year’s winner was The Second War of the Dog by Ibrahim Nasrallah. The International Prize for Arabic Fiction is an annual literary prize for prose fiction in Arabic. It is sponsored by the Department of Culture and Tourism – Abu Dhabi (DCT Abu Dhabi) and is run with the support of the Booker Prize Foundation in London.